Bristol De Mai has been revealed as top weight for the Randox Health Grand National. The Multiple Group 1 winner heads the weights on 11st 10lb, with a lowered rating of 168. Bristol De Mai is one of nine entries for trainer Nigel Twiston-Davies. Gordon Elliott’s defending champion Tiger Roll has been given 11st 1lb, as he bids to become the first dual winner of the race since the legendary Red Rum. Tiger Roll is the 20/1 joint-favourite alongside Welsh Grand National winner seven-year-old Elegant Escape, who comes from Colin Tizzard’s yard. Earth Summit was the last horse to win the Welsh Grand National and the Grand National in the same season (1997/98). Elliott’s team also features Cheltenham Festival winner The Storyteller (11st 3lb) and General Principle (10st), winner of the 2018 Irish Grand National. Elliott’s big Irish rival Willie Mullins, responsible for 2005 Grand National scorer Hedgehunter, has 10 entries in total. Mullins’s contenders are headed by last year’s head runner-up Pleasant Company (10st 11lb), G2 National Hunt Chase winner Rathvinden (10st 10lb) and Up For Review (10st 2lb), who was an eye-catching third in the Thyestes Chase on his latest start. Owner Trevor Hemmings, who is chasing a fourth Grand National triumph – which would make him the winning-most owner of all time – has three entries including the highly-progressive pair Lake View Lad and Warriors Tale. The 2017 Grand National victor One For Arthur, who was unable to defend his crown last year due to injury, has been allotted 10st 10lb. William Hill have installed Tiger Roll and Elegant Escape their 20/1 joint-favourites for the 2019 Aintree Grand National following the announcement of the race weights this afternoon. The 2018 winner Tiger Roll will be aiming to become the first horse to win back-to-back Nationals since Red Rum in 1973/4. 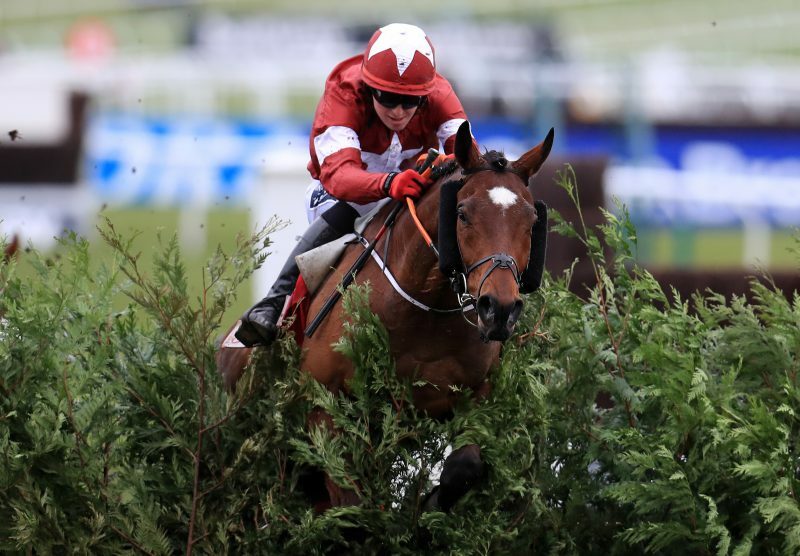 “Tiger Roll was a terrible result for us last year and is likely to be even worse should he emulate Red Rum and win back-to-back Nationals,” said William Hill spokesman Rupert Adams. Meanwhile, Hills are offering odds of 100/1 that Tiger Roll wins 3 Grand Nationals and 16/1 that we see the first female winner of the race this year.